Reports are out claiming that Barcelona are interested in Arsenal defender Laurent Koscielny. 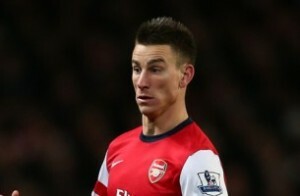 The Sun revealed that the Spanish giants have joined the race to sign defender Koscielny from Arsenal. It is said that Barca have made an enquiry about the £20million-rated Frenchman, who is also a target for Bayern Munich.